Astronomers need ever more sensitive detectors to broaden their understanding of the universe. Microwave kinetic inductance detectors (MKID) could make far-infrared telescopes 1 million times more sensitive. Scientists from SRON Netherlands Institute for Space Research and TU Delft have now taken a step toward the development of these detectors by protecting them against harmful cosmic rays. Publication in Applied Physics Letters. It takes small steps to develop ever more sensitive space telescopes. For example, a single sensor first has to become a functioning pixel that you can read out. Then you can try to increase the number of pixels without inducing cross-talk between them. Next, the pixels should be able to measure a wider palette of colors. SRON researchers, including first author Kenichi Karatsu, followed these steps with microwave kinetic inductance detectors (MKIDs), which are a candidate technology for NASA's future far-infrared Origins Space Telescope. When cosmic rays hit the material on which the detectors are made, energy is released. This can briefly blind the detectors or even ruin them. Fortunately, MKIDs don't break that quickly, as Karatsu discovered in 2016. But in the fight against the blinding effect, the postdoc has now won an important battle. 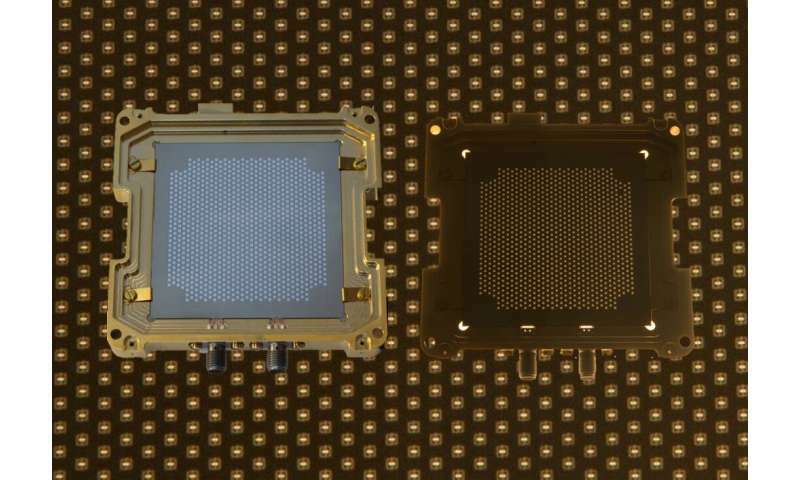 Karatsu and his colleagues compared and tested four large arrays, each with almost a thousand MKID pixels. The system comprises one conventional array, one array with a superconducting film acting as a lightning rod, and two arrays on which the MKID pixels float on membranes, safely isolated from the support structure in which the harmful energy is generated. Within the arrays containing the solutions described above, the dead time was 40 times shorter than in a conventional array. Simulations show that the dead time can reach below 1 percent in specific points in space, such as Lagrange point 2 or a similar orbit far from Earth. The new technology might also be useful in large superconducting qubit arrays for future quantum computers.